Arcade Legacy will move into the former Dots location at Newport Shopping Center. Via Google Maps. The Newport Shopping Center has leased space to an arcade and gaming concept. Arcade Legacy, owned by Jesse Baker, has leased the old Dots space at 1765 Monmouth Street, at 5,200 square feet and will open with about 50 arcade games, pinball machines, projection screens and game consoles. 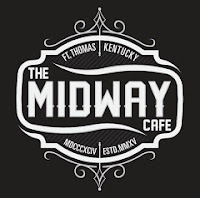 Come celebrate The Midway Cafe turning 2! 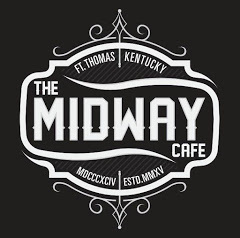 $2 domestics, wells and a new Fort Thomas bourbon. Saturday, July 1. 1017 S. Fort Thomas Avenue. This is an advertisement. The arcade will sell all-day game passes for $10 to adults and for $6 to children under 11. "We are excited to welcome this new tenant the our center and to the community," said Jaimie Niemczura, Real Estate Manager for American Diversified Development which owns the Newport Plaza and Newport Shopping Center. "We believe this will be a great addition to the tenant mix and bring additional traffic to our existing tenants." Arcade Legacy will be Baker's third location, with locations at Cincinnati Mills Mall and Northside. He opened his first location in Cincinnati Mills Mall in 2009 with console games and arcade games. He refurbished some of the games himself. The Northside location, located on Spring Grove Avenue, is a full service bar, however the Newport location will not serve alcohol. Arcade Legacy is shooting for a grand opening date in September or October of this year. Arcade Legacy joins fellow Newport Shopping Center tenants such as Ace Hardware, Beef O'Brady's and Defender Direct. Great! A reason to go back to the Newport Shopping Center. Yay! My kids love Arcade Legacy and we have been loyal customers for years, driving up to the old Forest Fair Mall to get our old school gaming fix. So excited to see them venturing across the river. This place ROCKS! Lost me at no beer lol im lying ill ne there!!!! !